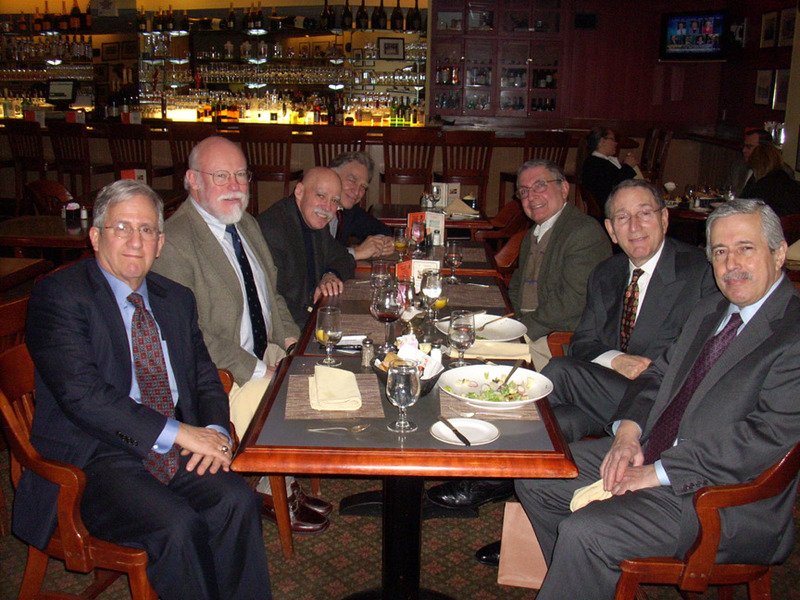 The start of our 2009 series of lunches brought together another fine group of '63ers on January 8th with 7 classmates attended. Among the regulars attending were Steve Barcan, Henry Black, Doron Gopstein, Bob Heller, Paul Neshamkin, Larry Neuman, and Barry Reiss. (Seated from left to right) Steve Barcan, Paul Neshamkin, Henry Black, Larry Neuman, Barry Reiss, Bob Heller, and Doron Gopstein.